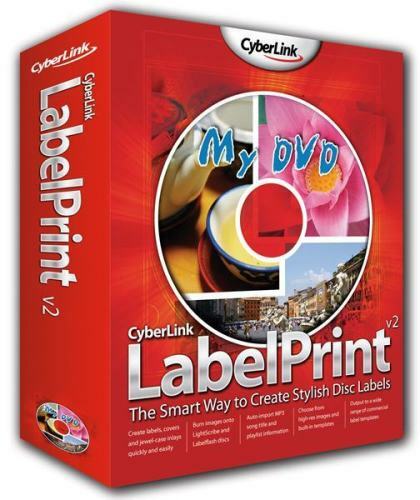 CyberLink LabelPrint - download in one click. Virus free. Download the latest version of CyberLink LabelPrint with just one click, without registration. It comes with a safe official web installer for Windows. CyberLink LabelPrint is a powerful application by CyberLink Corp. that offers you an easy way to design and print your own labels and covers for CDs, DVDs, and jewel-cases so that you can either surprise your friends and relatives with original hand-made gifts or create a memorable disc cover for yourself. The latest version of the software allows you to download from the official website a great number of templates to generate even more beautiful labels in different categories: wedding, holidays, flowers, travel, etc. To make a label within the CyberLink LabelPrint program, you need to take the four steps only: select the template type (1), specify the disc information (2), choose the background image and the text layout (3), and print the label (4). That's it. 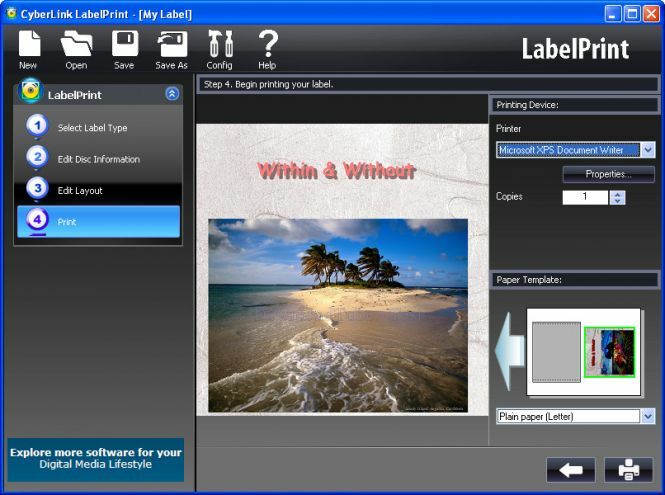 For those who haven't used label-making software before, LabelPrint have included step-by-step instructions (which in addition to the program's intuitive interface make the whole labeling process very easy). The program has support for Labelflash and LightScribe to enable you to "etch" image designs and texts on the surface of your discs. All in all, CyberLink LabelPrint is a helpful program that stimulates your creativity and brings you colorful high-quality labels for CDs, DVDs, and jewel-cases. 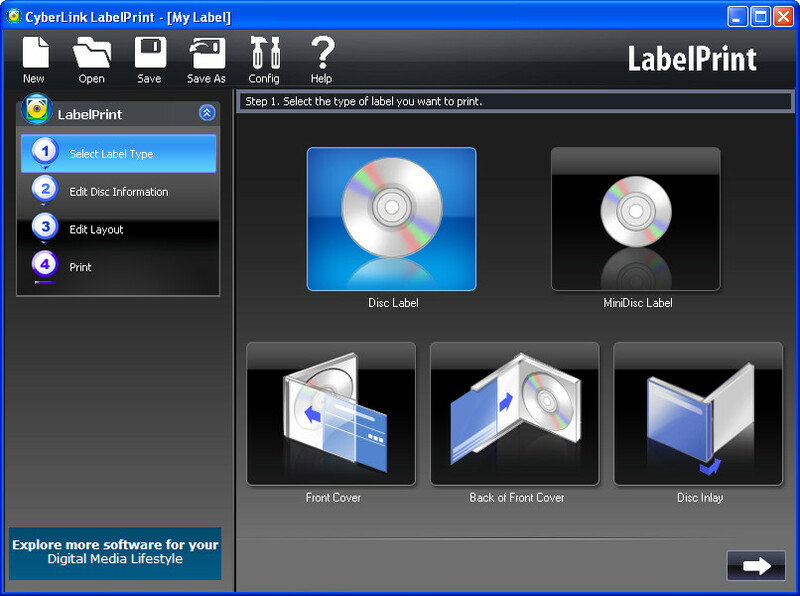 It offers many editing features such as importing file names from MP3 tags, editing album information, inserting text objects; and facilitates integration with other CybelLink products. Burns images on LightScribe and Labelflash discs. Gives step-by-step instructions for label making. Integrates with other CyberLink products.